I heard them first before scanning the sky to try and spot them. Flying high over Cod Beck Reservoir south for the winter. Probably from Iceland, bound for the Wash or other of the big estuaries. 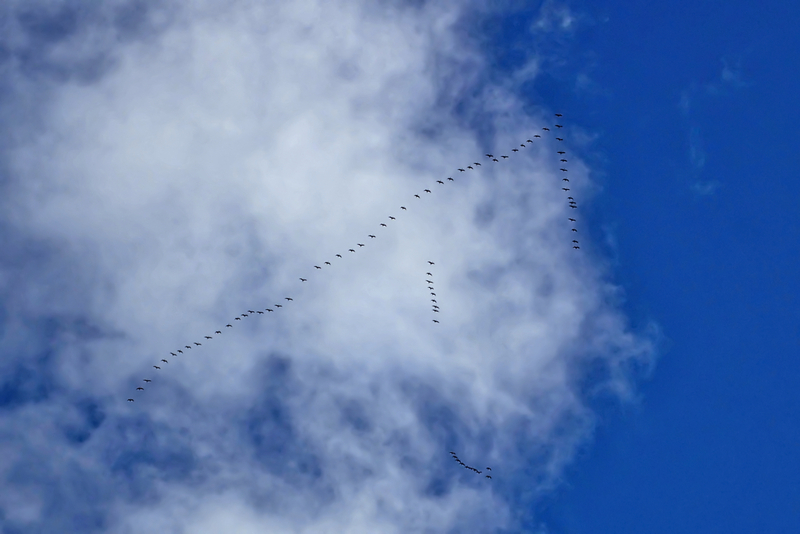 An alternative name when geese are flying in a ‘V’ formation is a wedge, reducing drag and enabling speeds of over 40 mph to be maintained. As this speed, the geese could cover almost 1000 miles in a day.